Qatar’s QNB Group maintained its prime position as the GCC region’s biggest bank by in 2015 for the fifth consecutive year, a new study by Argaam revealed. 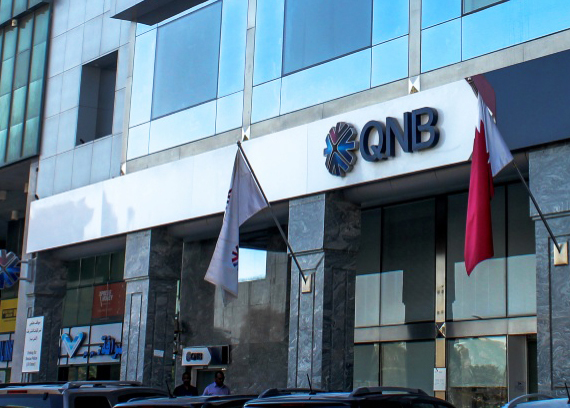 QNB, which is 50 percent-owned by Qatar Investment Authority (QIA), saw its assets growing by 11 percent year-on-year (YoY) to exceed $147 billion in the same period. The group’s assets were bolstered by an increase deposits and higher loan book growth. Saudi Arabia’s National Commercial Bank (NCB) ranked second as its total assets rose 3 percent year-on-year (YoY) to $119.8 billion. National Bank of Abu Dhabi (NBAD) followed with an 8 percent YoY increase in assets to $110.7 billion. Four Tadawul-listed banks ranked among the top 10 largest banks in the region (by assets). Al-Rajhi Bank placed fifth with assets worth $84.1 billion, followed by Samba Financial Group and Riyad Bank, which ranked seventh and tenth with assets valued at $62.7 billion and $59.5 billion, respectively. In terms of net profit, QNB Group remained on top, registering an eight percent YoY increase in profit to $3.09 billion by the end of 2015. NCB followed with 5 percent growth YoY to $2.42 billion. QNB also dominated in the category of deposit growth with an increase of 11 percent YoY in customer deposits to $108.5 billion. NCB ranked second despite a three percent YoY decline in customer deposits to $86.2 billion. Meanwhile, Saudi British Bank (SABB) dropped to the ninth place with $39.6 billion in customer deposits. In addition, QNB outperformed its peers in loans and advances, as it recorded a 15 percent YoY increase in this category to $106.6 billion. Emirates NBD came second with a 10 percent rise to $73.7 billion last year, when compared to 2014. NCB claimed the third spot with loans and advances valued at $67.1 billion, followed by Al-Rajhi Bank with $56 billion. Riyad Bank and Samba placed ninth and tenth, with $38.6 billion and $34.6 billion, respectively.